Turmeric (Curcuma longa), a member of the ginger family, is slightly bitter with a potent earthy flavor. One of the biggest contributing factors to Turmeric's amazing benefits is the polyphenol curcumin, which is also responsible for its distinctive orange-yellow hue. 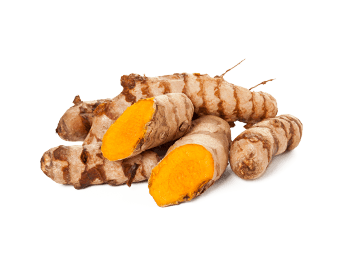 Studies suggest that curcumin may be beneficial for mental, joint and prostate health. This compound may even be helpful for gastrointestinal health and maintaining healthy blood sugar levels.